One of the fun things about self-publishing is that you get to have the conversations that might otherwise be left to your publisher or bookseller. Queen Abigail the Wise just went on sale at our church bookstore yesterday, and after purchasing a copy, a church dad observed that his nine-year-old girl, Cheyanne, will probably be through reading the book by nightfall. From the way Cheyanne gripped the book and ran off with it, he is probably right. That’s quite an accomplishment, when you think about it. Queen Abigail clocks in at 272 pages — how many of us adults could say we would knock out something that length in a day or so? And I can’t really say that it’s light reading. By which I mean, I couldn’t find any way to stick to two-syllable, Sesame Street words and still carry the action and nuance that I wanted. That bothered me as I wrote, even while I couldn’t help remembering that the children’s books that I loved best as a child — classics like Charlotte’s Web, Alice in Wonderland, The Jungle Book — definitely used some challenging language. But it didn’t feel challenging at the time. And as an adult suddenly wondering about writing for children, when I sought advice from some parents, they all told me the same thing: Children will sail through the difficult vocabulary and gather meaning from the context. As a child, when I came across a word I didn’t know, I didn’t stop reading the story to look it up, I just went on reading. And after I had come across the word in several books, I knew what it meant; it had been added to my vocabulary. … [As children,] when we read, we read. We were capable of absorbing far more vocabulary when we read straight on than when we stopped to look up every word. … We think because we have words, not the other way around. That sounds like it makes a lot of sense. It might even be sagacious, perspicacious and erudite. But in any case, it makes sense. We’ll start there. Love this, Grace! 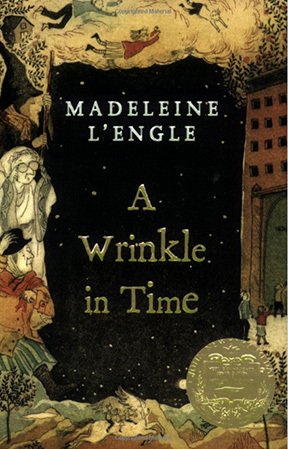 How did I miss the fact that Madeleine L’Engle was Orthodox?? I have to walk that part back. I’ll adjust the blog post. I bought “Walking on Water” at an Orthodox literature event and reading it, her perspective seemed very Orthodox. But your comment made me wonder, and so I went and looked it up. Nope, I had that wrong — she was Episcopalian. Well … darn. Can I privately add her to the list of authors I WISH were Orthodox?